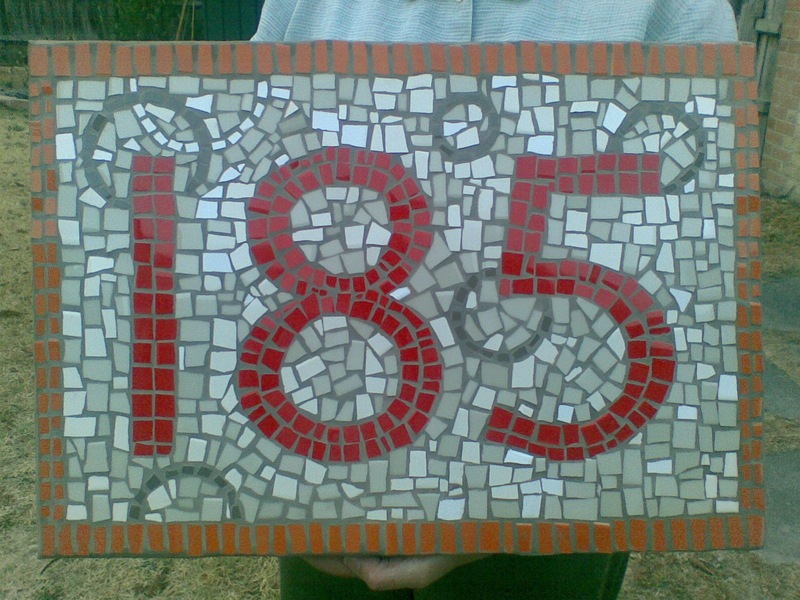 I am a Melbourne Australia based mosaicist, quilter, sometime dressmaker and occasional potter. Oh, and I work full time. I’ve loved doing creative stuff since I was a little girl and I thank my grandmother for introducing me to machine sewing at the age of six. Sitting at the sewing machine is one of the most relaxing things I know. My beloved is Licensed2Tinker. He builds boats for fun and before too much longer we hope to have his and hers canoes to muck around in. In July 2013 I bought a pre-loved Druva four shaft floor loom. Since then I’ve been trying to fit weaving into the journey. 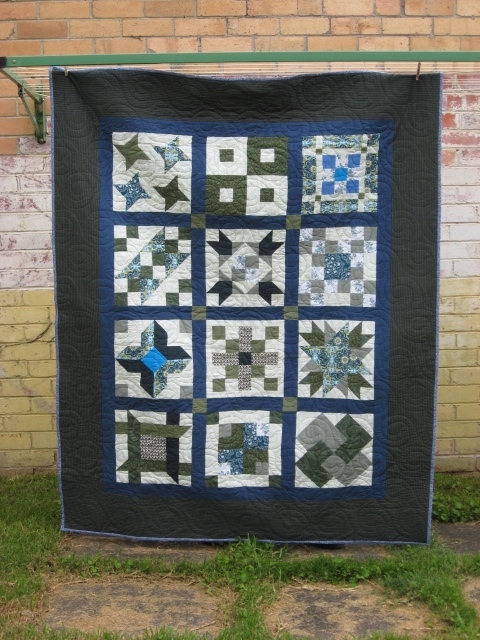 Here are some pictures of my mosaics and quilts. Oh Wow! Love the mosaics! I really like how your designs are applicable to various techniques, fabric and stone – just great! Wow. I love mosaic and that You have made is awesome. In Finland I can see very seldom mosaic. Last time when I saw one was in a church where it presented an altarpiece. Very cool. I’m impressed (but not surprised) at the creativity on show here. 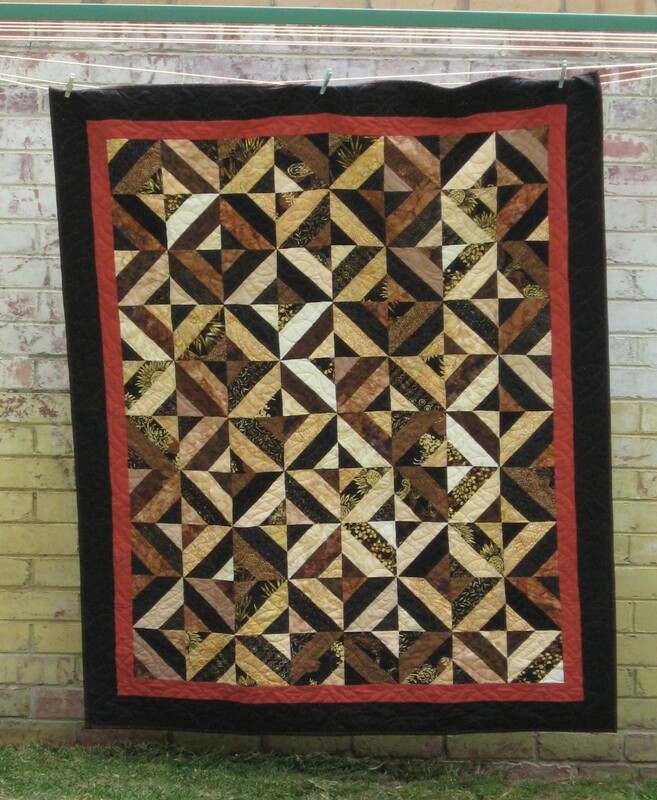 Hi, I saw your comment about the American patchwork magazine on another blog. I just thought you might like to know that you can buy the digital version of the magazine here. Thank you very much for that. Blogging awards are a bit of a mystery to me – I can’t quite work out if they’re a good thing or just the modern equivalent of the old-fashioned chain letter. I appreciate your support, either way. Thanks for leaving a comment on my blog. It was very kind of you to leave a suggestion for my Fibershed project, and it also meant I discovered your own blog! That’s very kind of you. Thanks for thinking of me and yes I would be interested. 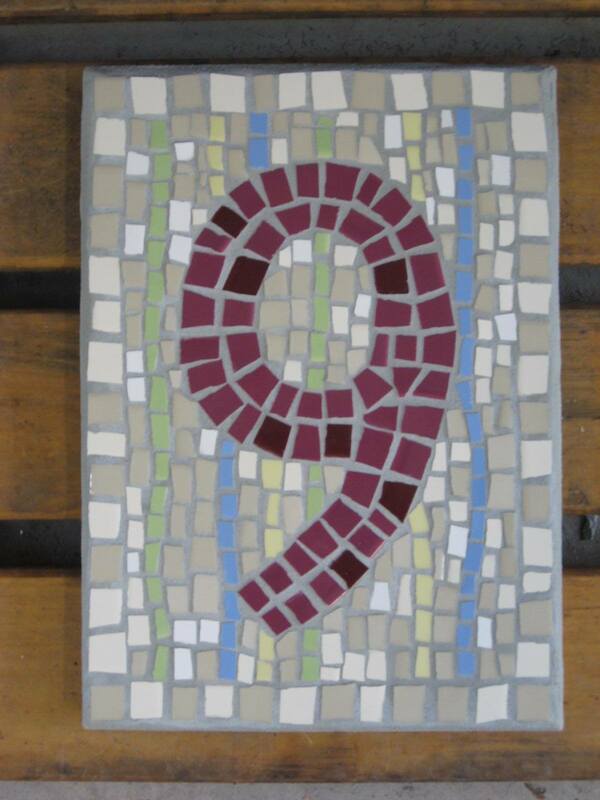 I’m the proud owner of the number 9 mosaic. It’s still as beautiful today as the day I received it. It’s so well designed and crafted and it makes me smile every time I arrive home and see it.